For nearly six years I have struggled with acne prone and troubled skin. Growing up, I never had to worry about a consistent skin care routine, how much water I drank, or the types of makeup that I was applying to my face. The troubles, and quite frankly, the feeling of shame with my skin began my freshman year of college – maybe it was the water type, maybe it was the stress, or maybe it was my late-night eating and drinking habits – either way I noticed a drastic change within months of my first semester; and so began my journey to healthy, glowing and clear skin. Over the last six years, I have spent hundreds upon hundreds of dollars to find my “miracle potion” for clear and healthy-looking skin. Everything from drug-store products to high end brands to home and organic remedies. Products and routines would work and produce results for a few weeks at a time and I would finally say “Yes! This is it!” But after a few weeks, my skin would go back to its original state – dull, blotchy, and overcome with acne. Not only was it embarrassing, but also painful. I would suffer from what I call “under the skin” pimples or blind pimples which were large, red and deep beneath the skin; never coming to a head and would last for over a week at a time. Once I had finally given up with my skin, and spending hundreds of dollars on new products, I decided to just accept my acne and come to terms that it’ll never clear up; even into my mid-20s. Then, I was introduced to Dermalogica. As a 3-year anniversary gift, my boyfriend surprised me with a spa day, which included a facial. 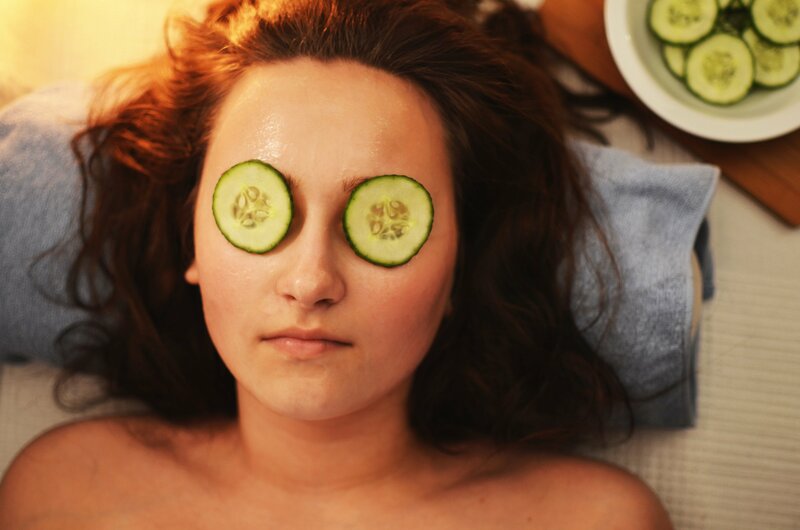 Though my acne was never an issue for my boyfriend and though he claimed he “didn’t even notice” my pimples, he knew that a facial would be something that I would enjoy due to my own personal feelings with my skin. The esthetician had me remove all of my makeup – Wait, you want me to be in public with a bare face? This was my biggest insecurity by far. Luckily, the room was dark…but not for long. The esthetician put a huge microscope over my face and shined a light onto my skin. After a few questions about why I was getting a facial and assessing my skin type, the esthetician chose the products that she felt would work best on my skin and to soothe my active acne and to prevent future breakouts. After the facial, I followed the esthetician to the counter to check out. I expressed my insecurities to her about my skin once more and she suggested I try a sample size of the products she used on my face at home. Sure, this could have just been a ploy for a commission, but I thought, “Let’s give it a shot!” considering it was the premier brand in all local spas. It has been nearly seven months since I was first introduced and began applying Dermalogica products to my face daily, and honestly, I can say that I have never been happier with a skin care line. This is the most comfortable and confident I have been in my bare skin. So comfortable, that I go into public without any makeup on – something I haven’t done in several years! I’m not kidding, I used to wear makeup to the gym; that’s how insecure I was at my lowest point. However, on days that I do feel it necessary to wear makeup, I have noticed that it goes on more smoothly and I owe that to the Clearing Mattifier which works perfectly as a primer. Don’t get me wrong, I still do get occasional breakouts; especially for one week every month (if you catch my drift) but that is to be expected. I can confidently and truly say that I have never been so grateful to a product and I will forever be a Dermalogica consumer! My face has cleared up drastically and has a much more even tone. So, thank you, Dermalogica, for helping me to feel beautiful in my own skin! I hope that my story with my skin helped and that you found it relatable – Stay beautiful, friends and good luck with your journey to clear skin!